Argiris SER is a Greek street artist and illustrator. He was born and raised in Thessaloniki and currently lives in Corfu island with a collection of Chipacs and lollipops. Argiris Ser is one of the pioneers of the Urban – Street Art Scene in Greece. His drawing inspiration comes from cartoons, nature, candy and video games. In his work (a curiously eclectic blend of graffiti, comic culture and pop surrealism) employs an arsenal of monstrous but somewhat benign characters through glimpses and images of a parallel bizarre universe. 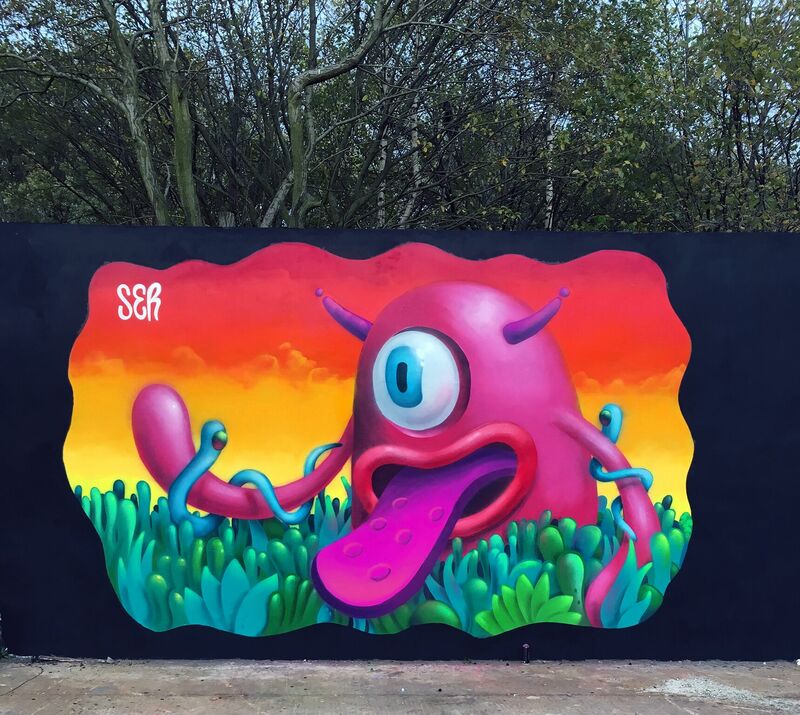 Ser’s work is all over Europe, in the form of large-scale murals, paintings placed in important collections, and commercial work, created in association with major local and international brands.